[…] The cost of living is going up in a terrifying way, but my income is not rising. I am obliged to leave the flat that I was occupying for eight years: the owner wanted to put up my rent by two thirds. 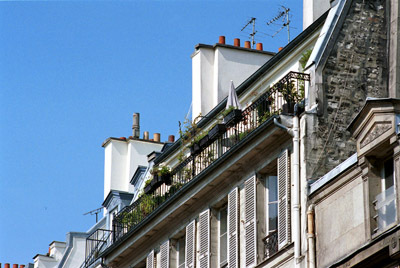 After searching around for a fortnight, we have been obliged to settle for a flat in Rue Vintimille near the barrier in order to meet the July rent day. It is smaller than our present one, on the fifth floor, and it still costs 400 francs more than what we are paying rue de Boursault (in other words 1,300 fr.). We are settled at 17 rue de Vintimille, as our former landlord found it advantageous to let us go three months before the expiry of our contract, and the new one did not ask for anything till the July rent day. […] Your ideas on accommodation are partly true and partly false. 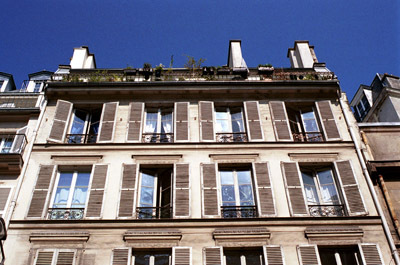 I have looked almost everywhere except at Faubourg St Germain, and I am not prepared to live there. It would be like being outside Paris. Had I been prepared to spend an extra 200 fr. on rent I would have had the 4th floor of the house where I am living (for 1,500 fr. ); it is perfectly adequate but the price seemed to me exorbitant. You ask how I managed to cope previously. It was a terrible struggle and I was often in debt; it is only my great travels abroad that saved me. Admittedly I am nowadays incomparably better off; but I find it stupid not to live a fully comfortable life, since my personal fortune cannot be managed in any other way. What you say is true, in relation to the position I have always found myself in… All I can do is acknowledge this unfortunate state of affairs and put up with it. I do not aspire at a great fortune, but the petty irritations of everyday life exasperate me. I am hard at work on my great opera. I can manage this in my cubbyhole, because at the moment I am only working on the libretto; but when it comes to writing the full score it will be torture not to have my privacy, not to be able to have space to move, have a full-size desk, and make all my noise without being heard, etc. It is rather curious that for the whole of my life I have so far never been able to have a working flat, one that would be independent, adequate, in short a proper workshop. Most of the time I have had to write my works on my knee, on small tables, on milestones so to speak, at the café, in the streets, on railways, on steamboats, envying all the time the dilapidated but vast, sonorous and secluded workshops of painters and sculptors. As the letter to Adèle shows, it was during his stay at rue de Vintimille that Berlioz wrote the libretto of his opera Les Troyens. But the letter also shows that working conditions there were simply not adequate, and a move was inevitable. The last letter dated from rue de Vintimille is of 8 October 1856 (CG no. 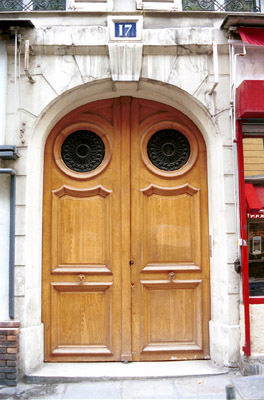 2178), and within a week or so Berlioz and Marie Recio had moved for the last time to 4 rue de Calais nearby, their final address in Paris. The photographs reproduced on this page were taken by Michel Austin in 2000. © Monir Tayeb and Michel Austin. All rights of reproduction reserved.